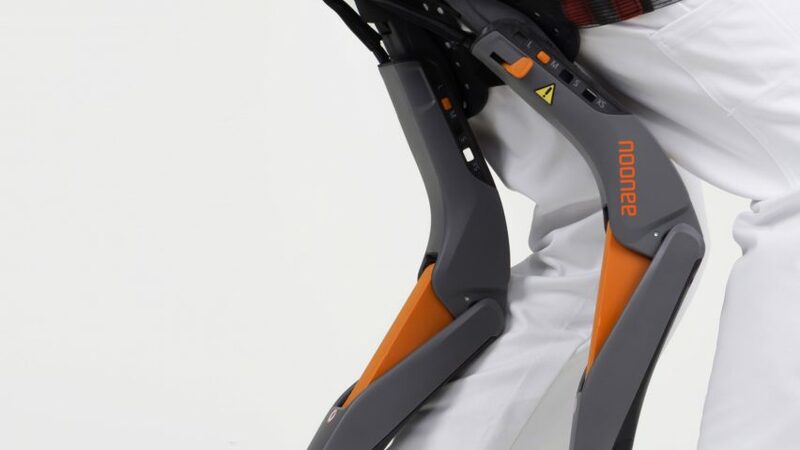 Sapetti designed the Chairless Chair for Swiss company Noonee, which describes itself as the world’s first supplier of “wearable ergonomic mechatronic devices”. 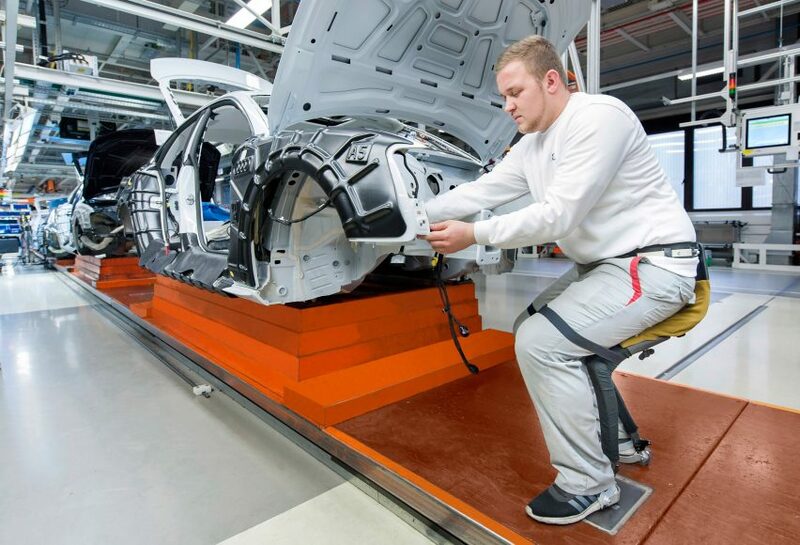 The chair is its first product. 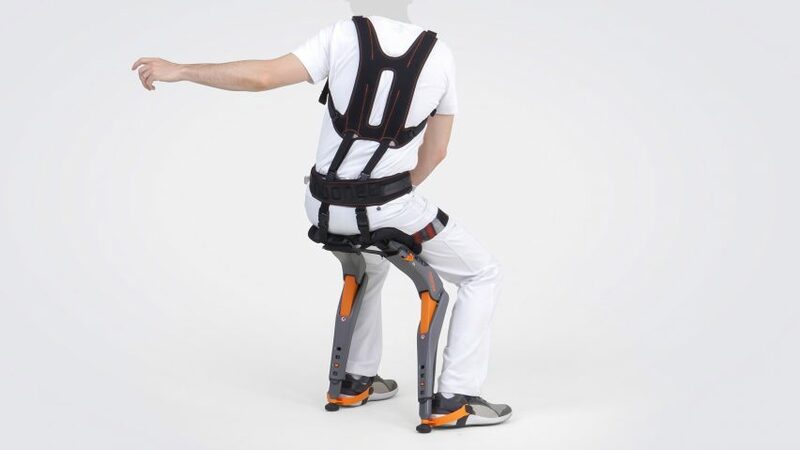 “With the Chairless Chair, Noonee’s clients can not only improve the ergonomic environment for their employees, by improving body posture, but also solve and prevent certain occupational health and safety challenges, and provide age-appropriate working conditions for their ageing employees,” said Sapetti founder Marc Sapetti. Most efforts so far have focused on people with limited mobility. 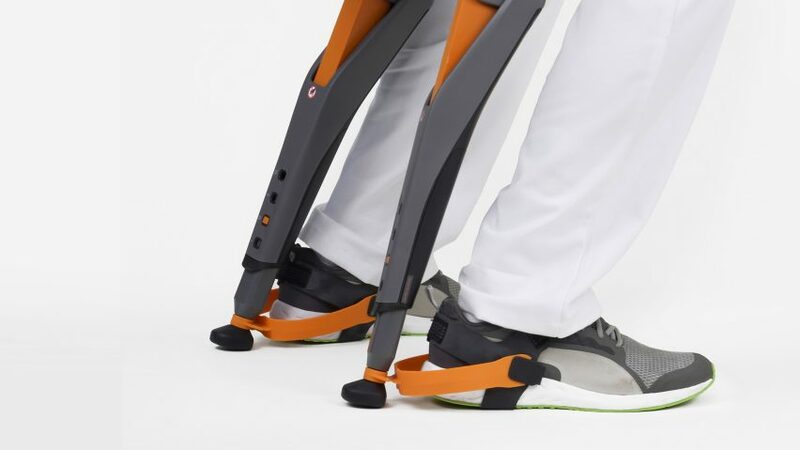 In 2014, American 3D-printing firm 3D Systems created a robotic suit that helps paralysed patients stand and walk, while earlier this year, Yves Behar revealed the Aura Power Clothing, which is fitted with “electric muscles” to assist the elderly with movement like climbing stairs.